We had never been on a stage like this before. We didn’t even know the first thing about demoing a product to such a large audience. Tyler and I had given presentations in school but, man, this was a whole nother level. We were accepted into LAUNCH in late January which was one of the best moments of our lives. As happy as we were (we literally jumped with joy) this also meant it was time to kick it into super gear. We had to prepare. One month from then, we were set to debut Rally on stage to over 10k people at the biggest startup festival in the world. When you get the kind of news we did, you can’t help but let your mind wander a bit. What if they don’t like it? How do we show everything in four minutes or less? What if the app doesn’t work? Does this even make sense? These were some questions we thought about as we landed in San Francisco for the first time on our way to the first rehearsal. Granted, there were positive thoughts as well, but they certainly didn’t outweigh the tougher negative questions. Rehearsals were held either at the famous Rosewood Sand Hill or at Sequoia Capital. Both incredible places just to be at, let alone get to practice pitching our company at. It was great to meet the other founders of the companies that would also be demoing on stage. Some of them even had companies that they had previously started and sold which meant we could certainly learn a thing or two from them as first time entrepreneurs. The first rehearsal went OK at best. We certainly hadn’t nailed it and we left a few people, including Jason, with a few questions. On Jason’s scale of 1–10, we got a 6. It took too long to get to the product (breaking rule #1) and our examples just weren’t solid enough (rule #4). We left our story open ended. Clearly, the pitch just wasn’t there yet. Luckily, Tyler Crowley, the pitch doctor himself, was there to guide us. ‘Sportscast’ as Jason always told us. Make it sound natural and get into it. After speaking with Tyler and having a one on one phone call on how to improve, we felt better going into this pitch. We’d get to what really mattered quicker and make it more relatable to the audience so they would become hooked to our virtual story. This time it went better. We got a 7.5 from Jason which was a big improvement! We got to the product quicker, though, our examples were still not quite where they should be. The story still felt a bit lackluster as it came to an end. However, we felt better and way more relaxed about going into the next rehearsal. It’s important to note that these rehearsals are actually a lot of fun and aren’t there to stress you out. While it is, of course, important that you do your best to show your product in the best way you can, Jason and Tyler make the atmosphere far more comfortable and fun than we originally thought it would be. 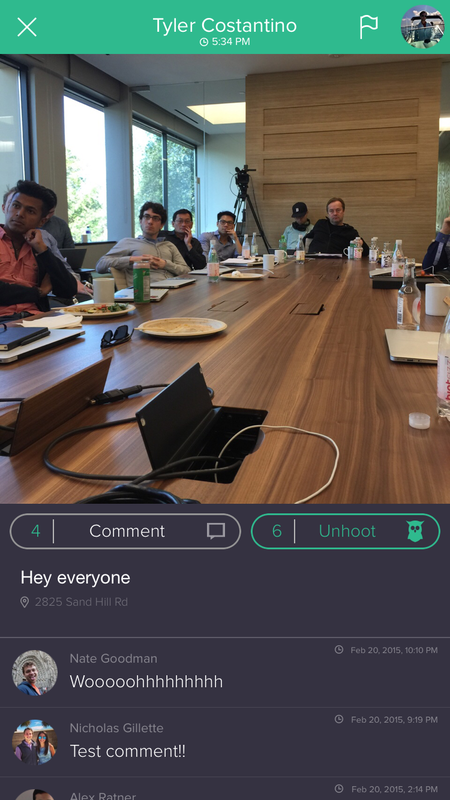 We had no idea what to expect going in but we really had a great time critiquing and get critiqued by amazing other founders. Examples seriously will make or break you. Start from macro and move to micro. Emphasize whats important. It’s OK to leave things out. Don’t cram too much into a few minutes. Leave the audience with just enough to intrigue them and make them want to know more. The title should say it all. We went into this one knowing it would be our last time to do this in front of everyone before we did it live on stage. Though we felt more confident, it just didn’t translate. This time, we tried starting with a question and it fell short. When new people in the room were asked about what it is exactly that Rally does, though they were mostly correct, the most important points were not remembered simply because our story felt weak. As an example, Jason asked the people in the room to name the group the main character in the story had created in the app to chat with his friends. They didn’t remember. Our score was, again, a 7.5. We still had to gameplan and it was coming down to the wire. Questions can pay off well… or throw you off entirely. Be prepared for no response from the audience. Don’t just demo for your product. Demo for the audience. In a way, we’re rehearsing so we don’t sound rehearsed. After a few more one on one sessions with the pitch doctor, we felt good. We had revamped the pitch even more so and managed to get our intro down to one sentence before we showed off the app itself. The day had come when it was time for us to go up and accomplish what we set out to do: show how awesome Rally really is. After watching other companies go before us, we waited backstage all mic’d up ready to get in front of that audience. We were a bit nervous but there was no time for that and it certainly was not ok to show it. This is how it went. We nailed it. One judge even went as far as calling Rally “a stroke of genius..” while another called it “the blackout app” which got a rise out of the audience. We had successfully showed our product the best way it could be shown, didn’t break any of the four rules and felt more confident than ever about the future. We got some more great feedback afterwards telling us how much people love the app and how great of a job we did. What a great reward to an already incredibly rewarding month. Be ready to change your pitch. Over and over again. When you’re up there on stage demoing your product, just remember, you’re there for a reason. This is your time to shine and people are here to see what you have put so much time and effort into. There is no reason to be nervous. Just show your product and feel good doing it. We are proof that you can go from nervous in front of a few people to confident in front of thousands. 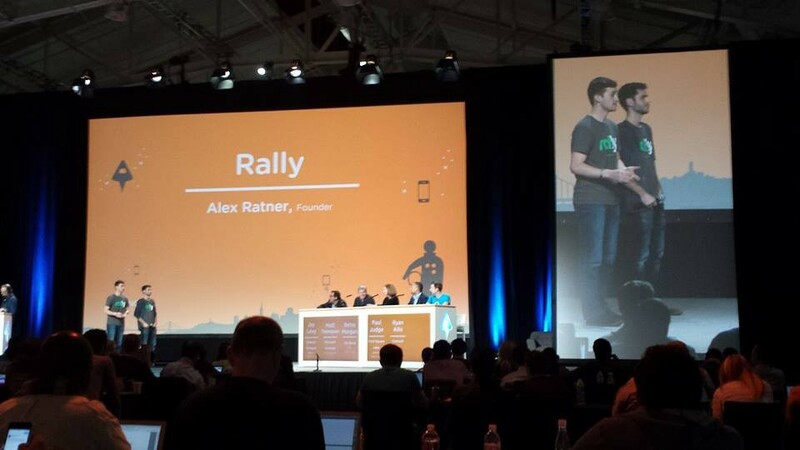 As for Rally, LAUNCH Festival was just the beginning but we could not have launched at a better time or place. HUGE shoutout to Jason, Tyler and Brice for putting together a phenomenal event and helping us through this entire process of taking us from a 6 to, well, you can decide that for yourself.